1. Test your power out on a pure Psychic type. If Super Effective, go to step 2. If Not Very Effective, got to step 3. If normal effective, go to step 4. 2. Now test out your HP on a normal/flying type, like a Pidgey. If your attack is Not Very Effective, your HP is HP BUG. If it doesn't affect the pidgey at all, your HP is HP GHOST. If your attack is normal affective, then your HP is HP DARK. 3. Your HP is now either Psychic or Fighting. At this step, test against a Gastly. If it doesn't hit, your HP is HP FIGHTING. If it's super effective, your HP is HP PSYCHIC. You could also test it out against a pure poison type, like an Ekansif you can't get a Gastly. 4. Test your HP against a pure Bug type, like a Caterpie. If it's super effective, go to step 5. If it's Not Very Effective, go to step 6. If it's normal effective, go to step 7. 5. It's either Fire, Flying, or Rock now. Now test against a Fire type. If it's not very effective, your HP is HP FIRE. If it's normal effective, your HP is HP FLYING. If it's super efective, youre HP is HP ROCK. 6. Test against a pure electric type, like a Pikachu. If it's super effective, it's HP GROUND. If it's normal effective, your HP is HP GRASS. If your HP isn't very effective against that electric, test gainst a water type. If that's super efeective, your HP is HP ELECTRIC. If it's not very effective, your HP is HP STEEL. 7. Getting tired? I am. *sigh* Now then. Test your HP against a pure grass type, like a tangela. If it's not very effective, your HP is HP WATER. If it's normal effecive, your HP is HP DRAGON. If it's super effective, your HP is HP ICE. 8. If you've gone through all of these steps and kept at it, your HP is HP POISON. w00t! I hope this helps at least one person. If this is in the wrong spot, please feel free to move it or lock it. 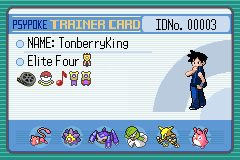 Kudos to Tonberryking to letting me do this and the trusty psypoke type effectiveness chart. EDIT: Please PM me if you find any mistakes. Thanks. Last edited by Benjamin on Wed Apr 20, 2005 12:54 pm, edited 3 times in total. Wow thanks, I'll use it a lot. Anyway great job. Wow, nice work, but there is always the simple way to do it, fight a kecleon, but if you don't have R/S/E to find kecleon, this is the best way to do it, I'll use this often in FR. Wow never thought of that, God I'm stupid :roll: . Thx to both SF & WPM. Well, this is for FR/LG, before you fight the E4 mainly. 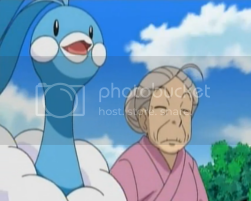 But this is in the Hoenn Generation section, so someone might want to move it. Oh yes, you can't get a Normal type Hidden Power. Only the other 16 types. You can't get normal HP? Wierd, I thought you could. EDIT: Edited out the part with HP normal. Thank you!! You made life so much easier!! Very nice work WPM. This makes it much eaiser. Well except for the one time I used an unknown HP on a Pidgey and it didn't effect it at all, mking it HP Ghost. But anyway, great job. Peace Out! Last edited by Blaziken386 on Mon Apr 18, 2005 6:38 pm, edited 1 time in total. I have hiden Power on my amphros, what should I give him? I tweaked it a bit, T-King found a spot that didn't make sense. One less pokemon you have to battle. Yay! 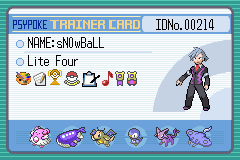 EDIT: The ideal HP to get on an electric type is Ice. If you can't get that, grass or water will do. Then what about the power? You'll need to do huge calculations to find the power, which ranges from 30-70 (taken from the Razor Leaf or Magical Leaf topic). But still useful. Good job. The power isn't what's being tested here, it's the type of HP. Wow,thanks WPM.This makes finding EVs+HP type SO MUCH EASIER! THIS GUIDE IS TO FIND OUT THE TYPE, I DON'T KNOW HOW TO FIND THE POWER OTHER THAN KNOWING YOUR DVS! I've tested my Medicham's Hidden Power in Spoink (super effective) and then, in Taillow (didn't affect it).... So, I guess its Ghost type. Dude, this topic was utely handy, I really needed it. Thanx, Water Pokemon Master! 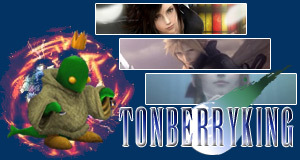 Tonberryking was also so kind as to put this on the site. Whee! If so, my thanks to TonberryKing too! Hope to see more of these helpfull works! Also, one the Grass type part, you could change it to Grass/Posion as well, since there are few pure Grass types, compared to Grass-Poison. The results will stay the same as well.